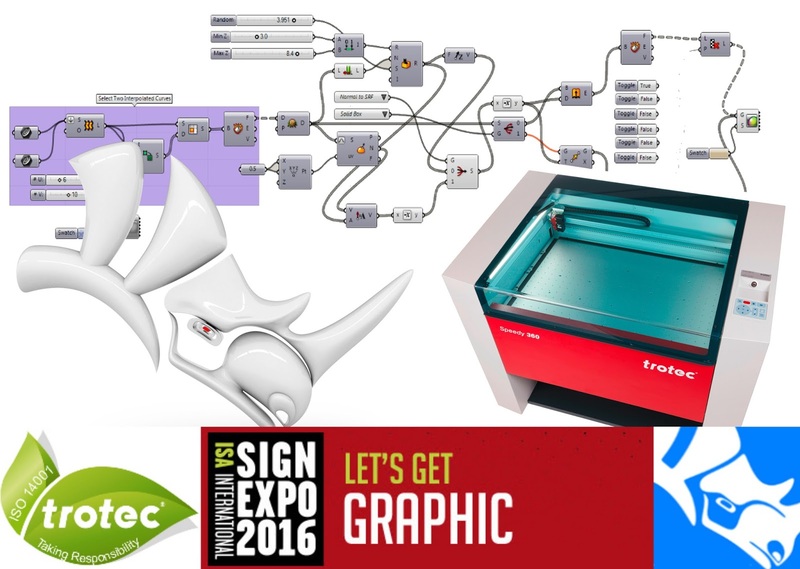 Visit Trotec at the 2016 ISA International Sign Expo in Orlando FL and learn how to be creative with your laser projects modeling with Rhino and Grasshopper. 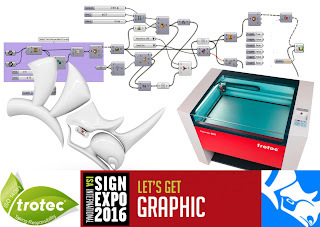 Don't miss the opportunity to see how to build 3D and 2D models with Rhino and discover how to cut them directly on a Trotec laser. Trotec will showcase the newest member of their speedy line: the Speedy 360 flex, with dual-source laser technology. For more information, please contact Meredith Newman.